Map view on main menu. After Version 1.3, a Map was added to the main functions. This function allows the Leads, Accounts, Contacts and Vendors that you chose to be displayed on the map. For example, you can input the Leads you plan to visit and the Accounts you are in charge of. 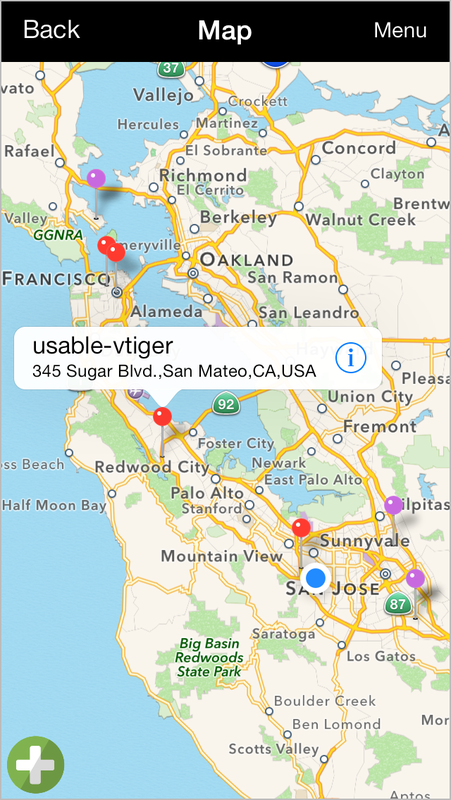 It will then help you create the most efficient call route by allowing you to confirm the exact places on the map. You can register them by inputting each one from its detailed information page. However, the data that you can input is limited to data that has the correct address registered.